Can find what your looking for? Call us anytime to questions! Although golf may seem like a slow and steady sport, speed is a determining factor when playing. Swing speed and ball speed can make or break your game. Professionals and dedicated golf enthusiasts train for hours at a time just to improve their performance. Many would purchase radar guns on sale and invest in custom-fit golf clubs, as well. These help them keep track of their abilities and ensure their equipment match their current skill level. And just as getting the right golf club (or clubs) is important, so is using the right golf ball. Golf balls aren’t created equal. Picking the right kind of ball may improve your ball speed and entire game. Take note that golf balls are just as essential pieces of equipment as your golf clubs — perhaps even more. If you’re investing in golf clubs that are more balanced according to your strength, height, or playing ability, you can do the same with the golf balls you use. Understanding golf ball compression can help improve your ball speed and entire golf game. Remember that compression is the amount of force necessary to compress a golf ball upon impact. Hitting a golf ball with a club deforms it slightly. During this time, kinetic energy transfers from the club and gets stored in the golf ball as it tries to go back to its original spherical shape. A ball that’s too soft will waste energy as it deforms and regains its shape. Meanwhile, a golf ball that’s too hard may not deform enough and store enough energy. Golf balls are categorized according to its compression: high, medium, and low. Knowing your swing speed is the key to choosing the right golf ball compression. The rule of thumb in picking the right golf ball is that swing speed and ball compression should be proportional. In short, the higher your swing speed, the higher your golf ball compression should be and vice versa. Examples of golf balls with high compression are Bridgestone’s Tour B330 and e5 and Callaway’s Speed Regime 2 and 3. For medium compression balls, there’s the Bridgestone e6, Nike RZN Red, and TaylorMade Tour Preferred. Low compression balls include the Callaway SuperSoft and Srixon Soft Feel Lady. Make sure you use a golf ball that suits your current swing speed, rather than your goal speed. Looking too far ahead and using equipment fit for your future abilities may cost you your games today. Once you improve your plays, then that’s the time you move up to a higher ball compression. However, it’s also a good idea to try a range of golf balls to find the right brand and model for your playing style and abilities. Additionally, the weather conditions when you play affects your golf ball’s performance. Softer balls are more effective for getting a better distance when playing in colder weather so make sure you have one or two low compression balls in your bag. 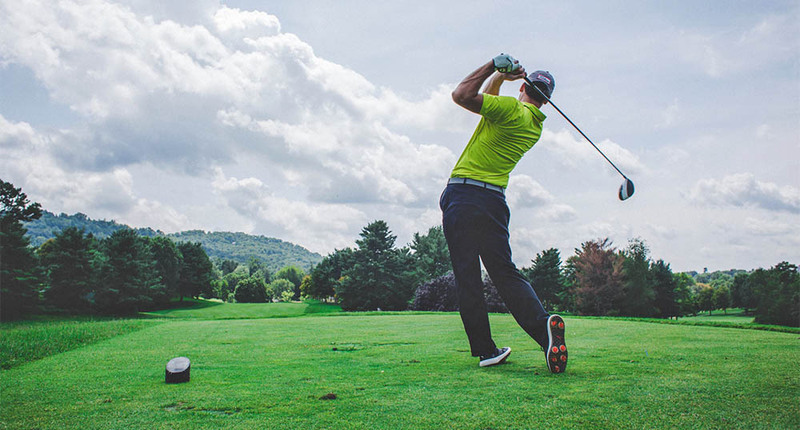 At Radar Sports, we carry a wide selection of golf training equipment, including radar guns, display boards, and golf driving cages. Contact us today for more information about our products and to place your orders. 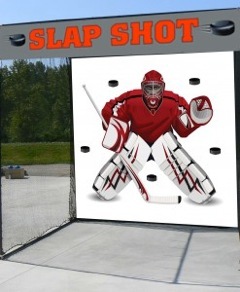 As the owner of a hockey equipment store I purchased the SR3600 with display board package from Radar Sports. I use this to allow customers to test new hockey sticks by seeing the speed of their shot. This has increased my sales of my hockey equipment. I recommend the team at Radar Sports highly. Absolutely recommend the Inflatable Hockey Rink from Radar Sports. This has been a great way to promote youth hockey across Canada. Our logo imprinted on the side is outstanding and has stirred business. 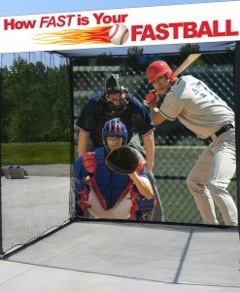 Purchased the Speed Pitch Cage from Radar Sports. Great system to help me promote special events for my sports marketing company. Outstanding service and product. Thank You For The Recommendation! 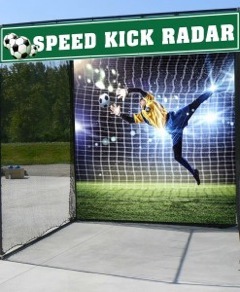 Very accurate and affordable hands free radar gun and display package for our speed pitch game. Participants are lining up all day long to clock their baseball pitch speed. Best investment for our organization. The revenue we have taken in has far succeeded our expectations. Great custom work by the Radar Sports Team! Purchased to promote our Ice Hockey Rink. Has been a big success at our special events. Quality is top notch. I recently purchased Stalker Pro II with display board and truly had the best consultation before making the purchase. I have two sons playing high school baseball and it’s a priority for me to help them develop their pitching skills. Thank you for your recommendations. And the product delivered on time as promised! 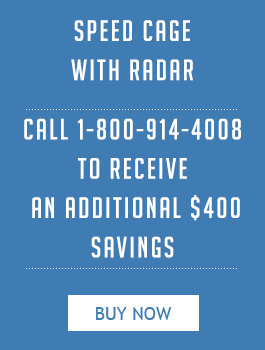 enjoyed working with radargunsales.com in buying this product!